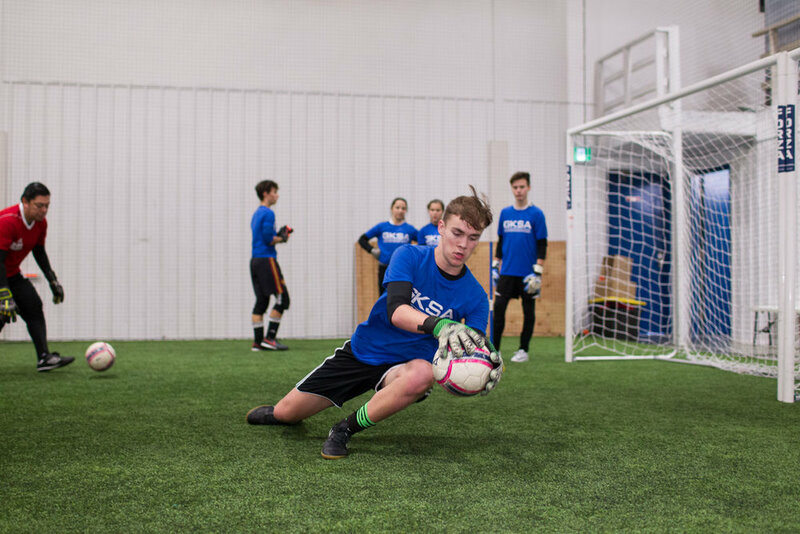 GOALKING has trained more than 700 youth goalkeepers in the Edmonton Region since 2007, currently having goalkeeper trainees positioned in the highest Elite soccer programs for youth players, as well as in Colleges and Universities in Canada. GOALKING Academy is the place to learn how to improve and master your soccer skills as specialized goalkeepers. For family members (brothers and sisters), we offer a 10% discount per player registered (before you complete the payment, send an email to: info@goalking.ca , indicating that you are registering family members, and we will manually input the adjustment with the discount, then you can continue to complete the registration process). The sessions will be run in 4 parts, the1st focusing on basic skills development, and the 2nd on developing tactical skills; in between the 1st and the 2nd, our strength & fitness instructor will work with our players to improve and maximize their physical conditioning and strength (the 3rd part). The 4th part involves implementing what was learned in the session in drills that recreate game situations in which goalkeepers are combined with field players covering topics of importance to both positions. This 4th part helps both the goalkeeper and the field player understand how what they learned in the technical and tactical part are implemented in a game. For instance, GKs will learn how to deal with crosses at the same time as field players learn to improve that same skill; GKs learn how to interact and work together with their defensive players at the same time as defensive players learn to work with the GK. Specific challenging situations that players encounter in games will be set apart and recreated, so that GKs and field players both can be instructed and practice over and over the proper positioning, technique, and skill for each micro-aspect of the game. Coaches are ASA (Alberta Soccer Association) Licensed. 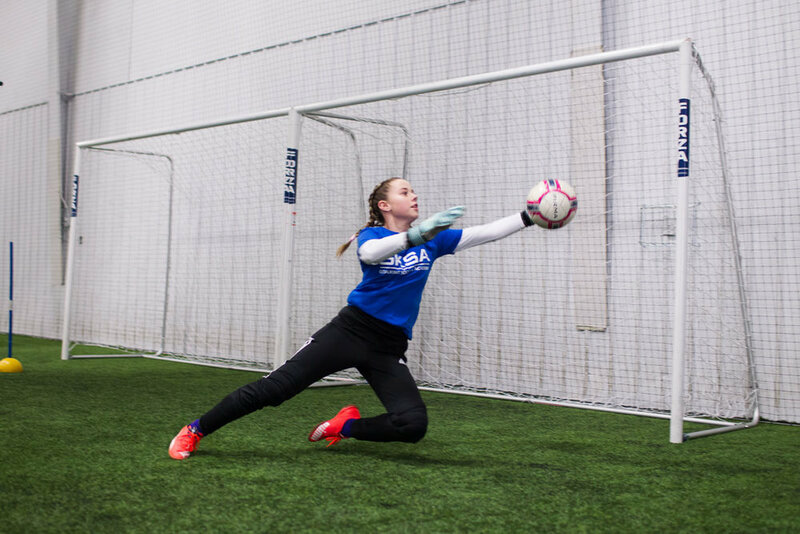 GOALKING Academy for goalkeepers works as a complement to community and competitive teams in our Edmonton region, where GOALKING provides extra training and instruction to youth players who want that extra edge to be more competitive in their teams and Clubs. Sport Accident and Excess Travel Insurance protection during training from the Alberta Soccer Association (as GOALKING is an Endorsed Academy). Click here for more information.